➣➣ First time on Seoclerk you will Get Real and Actual Authority Pages With Mentioned in report. 100% Real Page Authority links. 100% Real Authority pages Backlinks in Report will be Provided After Completion work. Beware! Other sellers use low Quality back-links in major Quantity they are gonna let your site down in Google hell...!!! 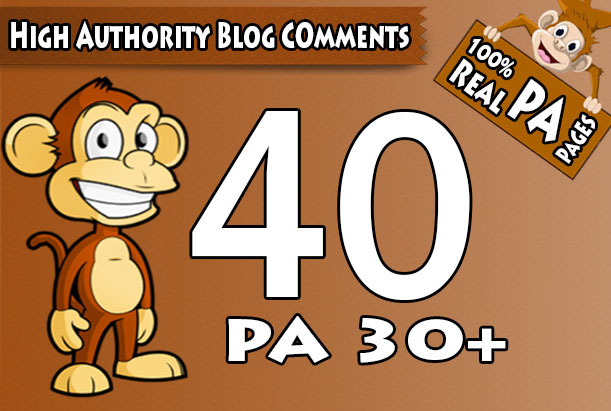 Do 40 "PA 30 to 70" Dofollow Blog Comment, 100 Percent Actual High PA Pages is ranked 5 out of 5. Based on 24 user reviews.